Because life can throw us curveballs, I try to never leave anything to the last minute. 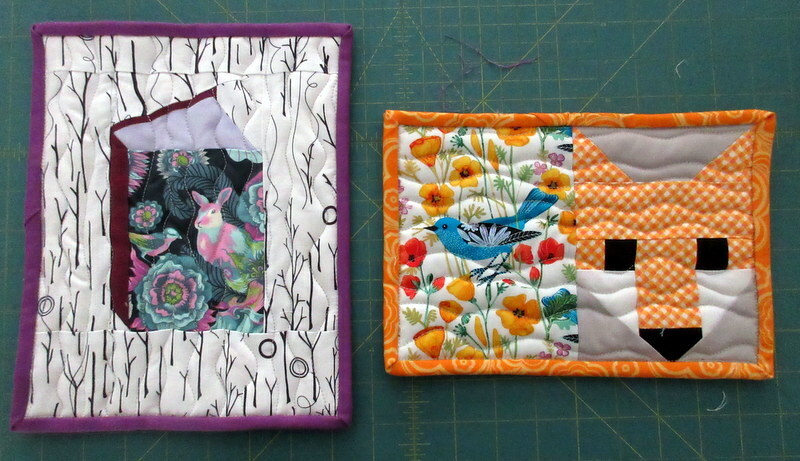 These mug rugs will be part of Valentine's gifts for each of my daughters. One is a reader and had a pet rabbit when she was a teen; the other has a love affair with foxes. These will be given with a coordinating mug and other gifties. The book is paper-pieced, it's a free pattern from Kate Basti called Tall Tales Quilt Block For the fox, I shrunk the Fancy Fox pattern by Elizabeth Hartman using my mad math skills!